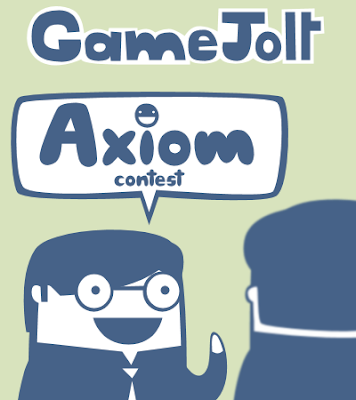 The theme is called Axiom where there is ten different axioms you must choose one or more to make a game around. This entry was posted in 2BeeGames, Bactoriam, Competition, GameCOG, GameJolt. Bookmark the permalink. Laughter is definitely the best medicine…wonderful and true axiom. So the 2Bee contest theme is Judgement Day or is that some sort of slang or whatever ? Judgement Day is a lame theme in my opinion . Anyways , are you registered at this 2Bee thing Amidos ? Is this place just another Game Jolt that takes your games and exibit them or do they just take contest entries ? I was looking around the site and couldn’t figure it out . About the Axioms contest I hink I have an idea and may enter after all , lets see how it turns out . Thanks for the info Amidos . About the Axioms entry , the idea I have is for a word game, a very casual thing actually . Lets see how that turns out . I like the mind boggling and the edutainment games more than the shooting and action ones…one is like junk food the other like healthy one.